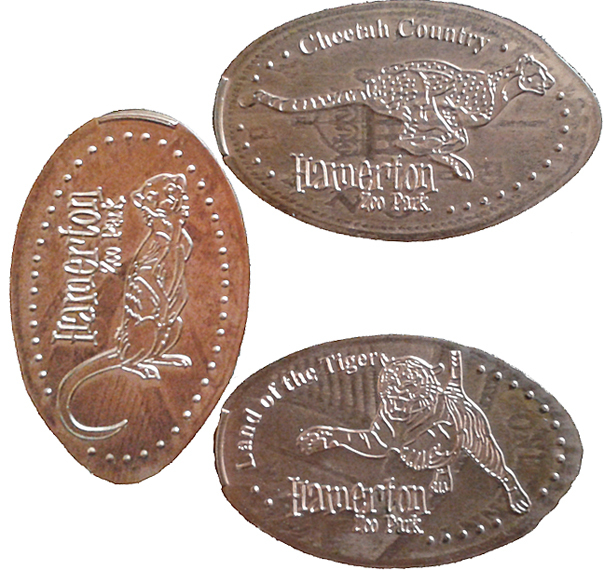 All of the coins feature the Hamerton logo and the animal in question. Both machines take one pound and a penny. thegillion added Hamerton Zoo Park to system.